Yes yes yes YES YESSSSSSSS! Yes, for all the right reasons. And sometimes the wrong ones too. We’re told to just say yes, and open ourselves up to opportunities. And I admit, for the most part, yes has been good to me! It’s taught me a lot about myself, my limits and my potential. And it’s also weighed me down, and at times its had me focused on the wrong things. My observation is that it’s not just individuals that face the “yes dilemma”; every business is tackling it too. So much to do, so many opportunities, so little time. I believe a dangerous trend has been emerging in business: answering every question with a yes. Should that customer segment be targeted? Yes, why not! Could this product be improved, or superseded or retired? Yes, of course it can! Could we deliver our products in a more efficient way. Yes, we must. But does that always mean doing more? Or is the answer, in fact, to simply do less? At least for a while. 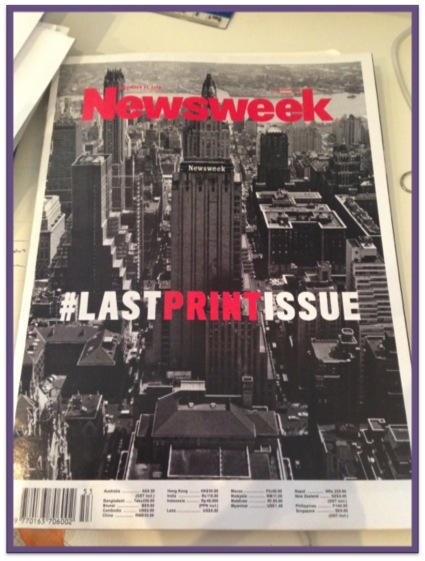 A great example is the iconic Newsweek. In December 2012 management announced the inevitable yet unthinkable: after 80 years the print edition would disappear in favor of digital. The printing presses were turned off and the apps were switched on. My weekly post box delivery came to an end. This is the future of news we were told. But guess what? Fast forward just over a year, and a print version of the magazine was resurrected. The new print edition is satisfying loyal customers. And online traffic has tripled, attracting new customers in the process. Saying no to print – at least for a while – solved a huge business challenge. And as proof that no decision needs to be forever, the current outcome is so much better for the business and its customers. 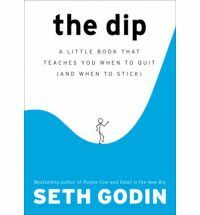 Seth Godin has written about quitting in his book The Dip: A Little Book That Teaches You When to Quit (and When to Stick). Godin says the trick is not to be afraid of failing; but to learn when to quit. What are the signs of failure? How do you assess progress against strategic plans? And if you have to quit, when is the right time? For me, this year has been the right time to quit a number of things. For I know this is also the only way to open new doors. Earlier this month I handed over the Make Care Fair campaign to Danielle Robertson from Dial An Angel who will be continuing the push on childcare reforms. Danielle – who is also President of the Australian Nanny Association and has been involved in the Productivity Commission Review on Childcare – has begun reinvigorating the campaign and she needs everyone to sign the new petition on change.org. So if you haven’t done that yet please take a moment to do it here and to share it with your friends. 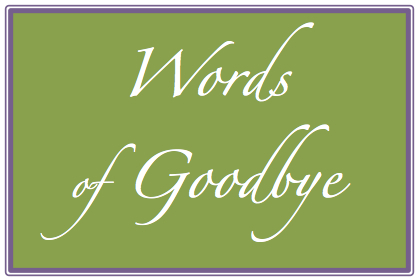 As I’ve been cleaning out my office and tidying up my loose ends I came across a poem a dear friend gave me 18 years ago when I had closed one door in my personal life and was preparing to open a new one with my move here to Sydney. Cate, thank you for sharing these beautiful words and they remain as relevant and precious to me today as they were all those years ago.